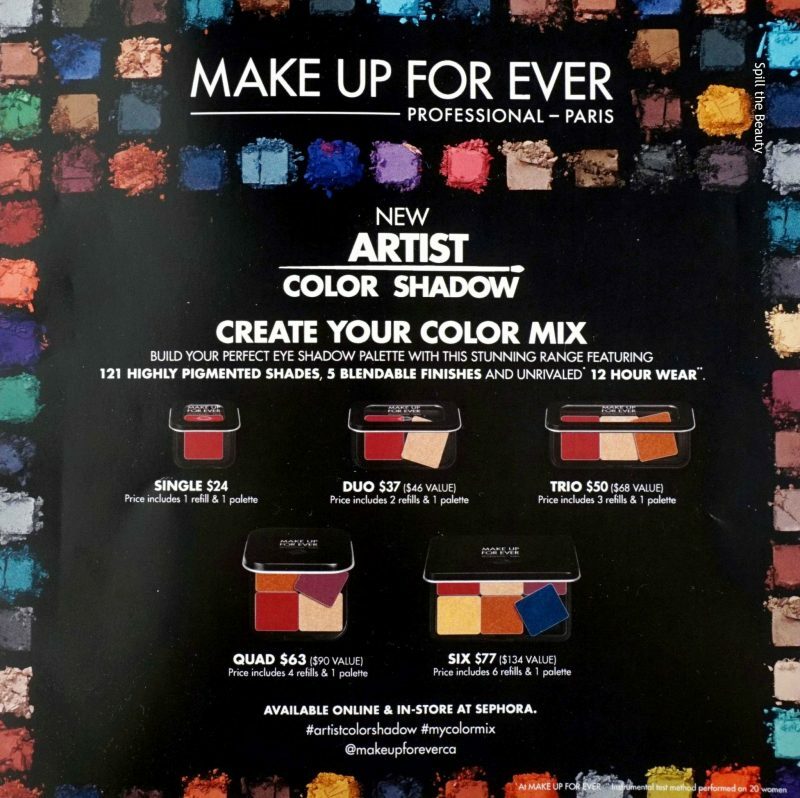 MAKE UP FOR EVER has released their Artist Color Shadows – highly pigmented, easily blendable and long-lasting, these new eyeshadow formulas feature new shades and textures in a new square shape, making it easier to create your perfect palette of one, two, three, four or six eyeshadows. 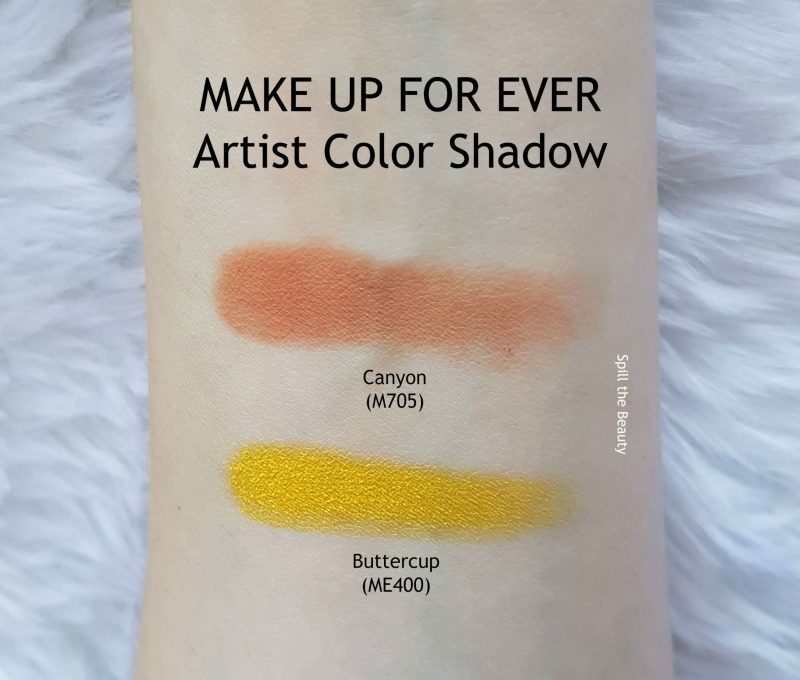 Today I’m sharing Canyon (M705) and Buttercup (ME400). I really like how MAKE UP FOR EVER has made the switch over to square pans. It’s much more practical than the circle pans because it saves space when you depot the shadows and place them into a Z palette. 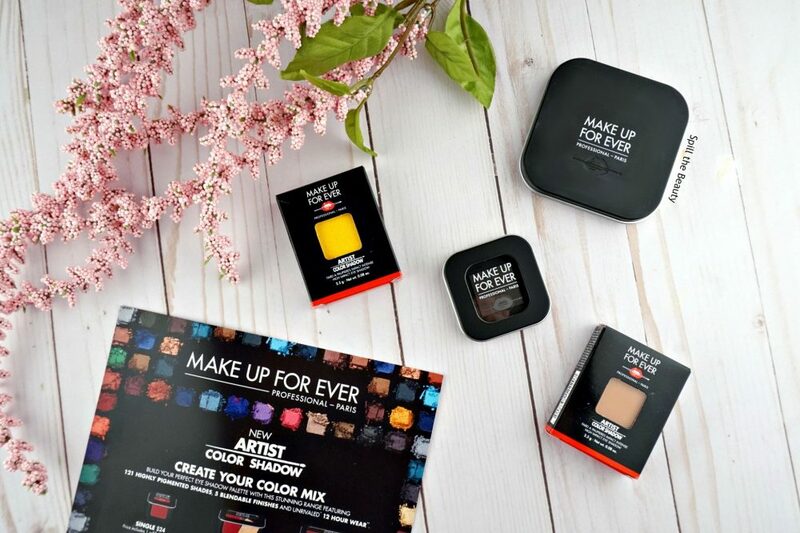 It makes a lot of sense because MAKE UP FOR EVER is a pro brand, so it’s nice to see them making their products even more fitting to the lifestyle of makeup artists. The compact system is very versatile – you can choose the size of the compact according to how many shadows you plan to use. 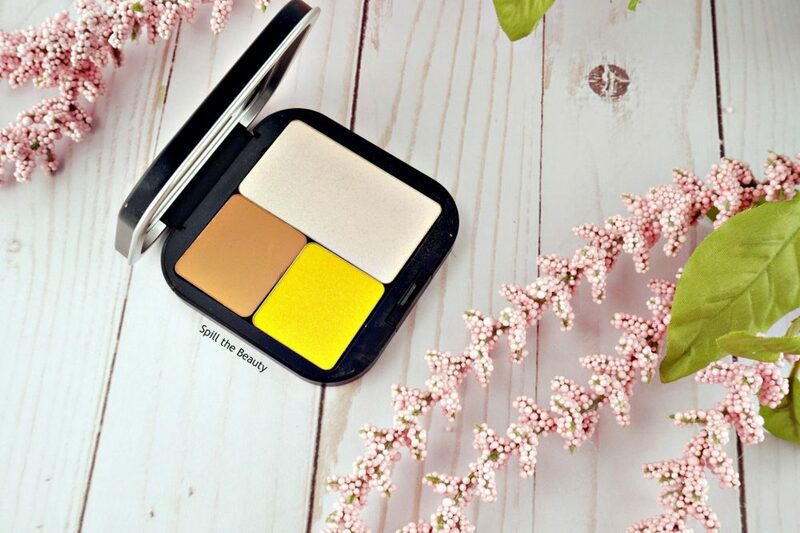 In the photo below, you can see them in individual compacts. 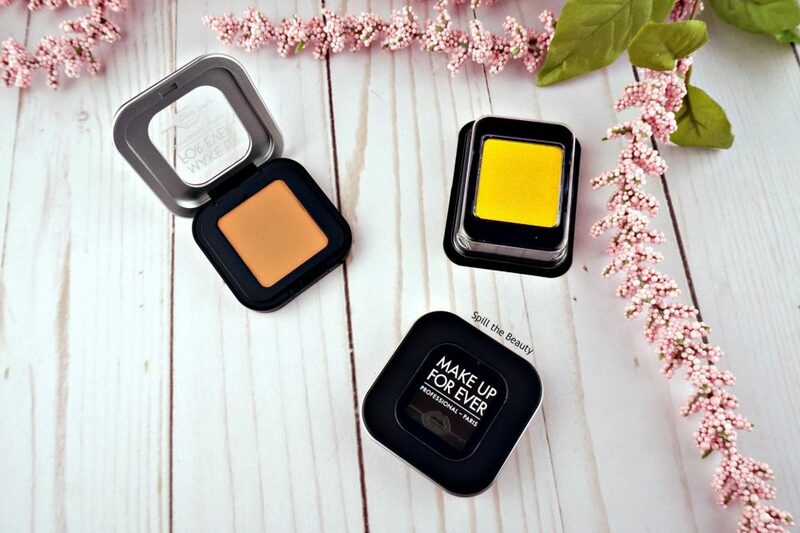 You can also place them in larger compacts and pair them with MAKE UP FOR EVER’s larger pans, like their blushes and highlighters. Canyon is a warm matte brown that’s a fantastic shade to have in your collection – it’s a great transition shade and it also doubles as a nice, but not too bold shade to blend out on your lower lash line. The formula on this one was top-notch – blending was an absolute dream. 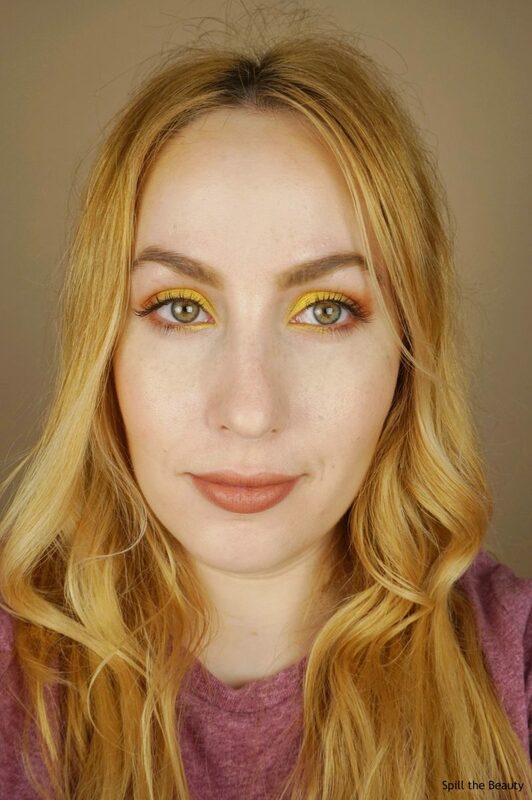 Buttercup is a sunny metallic yellow that’s a great option if you want to get that “sunset eye” type of look. The metallic finish was tough to apply with a brush. I needed to dip back about 3 times before I caved and used my finger to pat the shadow onto my lid. It was a bit patchy, so I had to layer it on. But I can’t argue with the results! I applied Canyon to my crease, outer v and outer half of my lower lash line while applying Buttercup all over my lid, as well as the inner half of my lower lash line. It’s pretty cool how you can get such a creative-looking eye with only two shadows! The MAKE UP FOR EVER Artist Color Shadows are available at Sephora. 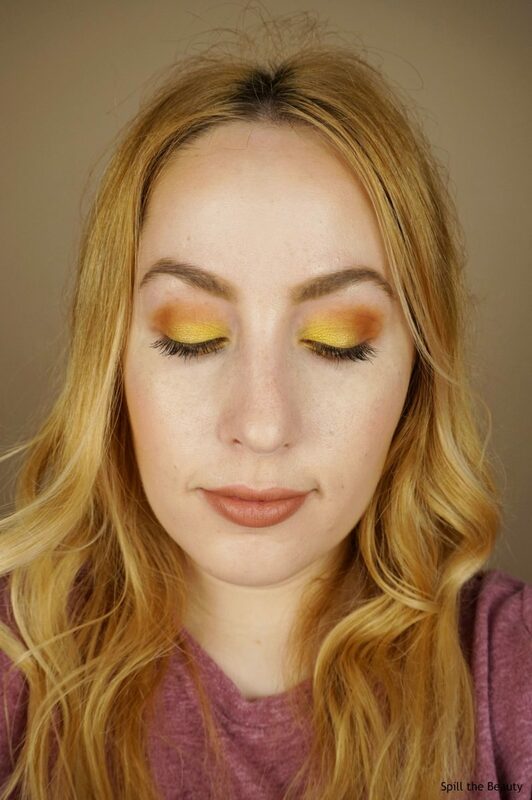 I love the sunset eyeshadow look! It’s so pretty! Thanks, Robyn! 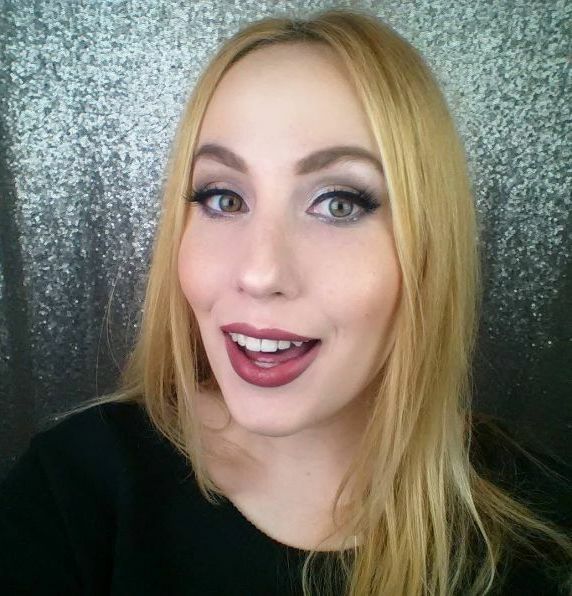 I rarely repeat look wiith my daily makeup, but I keep coming back to this one.